It’s time to brush off your boredom as Super Sundays is finally here..! If you are looking for an opportunity to showcase your extraordinary rummy skills and win breathtaking prizes, your search ends here! 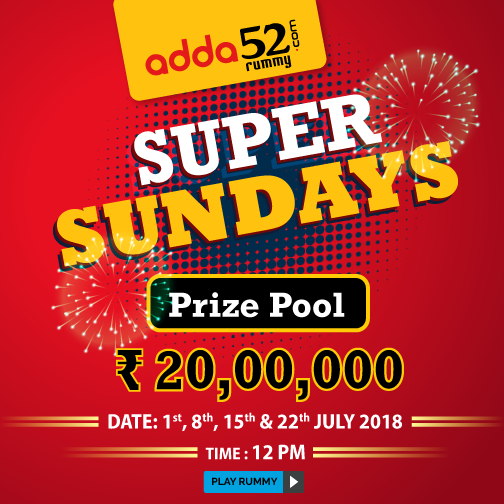 Yes, we are talking about Super Sundays tournament on adda52 rummy which is happening every Sunday at 12 PM. 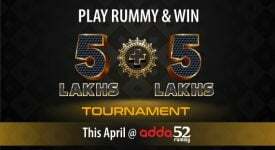 Now enjoy unlimited rummy online action on your weekends by playing Adda52 Rummy’s Super Sundays. The website launched the tournament in the month of June this year. Since then, because of its nominal buy-in and gigantic prize pool, this awe-inspiring tournament is gradually gaining popularity among rummy players from all over the country. Till now, more than 1000 players have won their share from the enormous Rs. 20 Lac prize pool. What’s more, there is no need to spend money from your pocket to join the tournament. You can participate in Super Sundays with just 5 loyalty points. 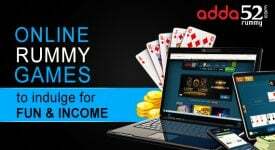 Log-in to Adda52 Rummy through desktop, tablet, or your smartphone. Go to game lobby and click on “Tourney” tab. To know about tournament rules, click on “Tourney Rules”. Even if you are a new player on the website, you can participate in Super Sundays. Just sign up on Adda52 Rummy and play on real cash rummy tables to earn required loyalty points. Rummy is considered as the best stress-relieving card game which entertains as well as challenges the knowledge and decision-making skills of the players. The admiration and passion of Indian players for this beautiful game are evident by the increasing number of participation in online and offline rummy cash games and tournaments. Adda52 Rummy is India’s finest rummy gaming portal which believes in providing completely hassle-free “world-class” rummy playing experience to its users. 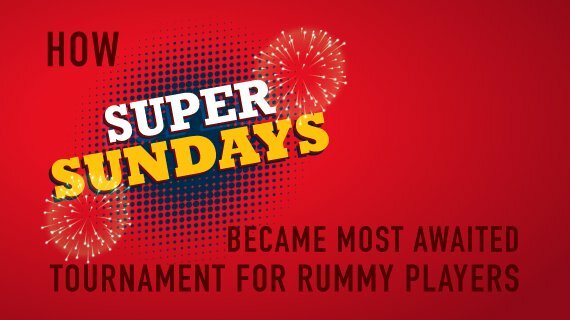 Super Sunday is one of those highly lucrative rummy events which the website organize every year to present maximum opportunities to rummy enthusiasts to achieve their dreams and win fabulous rewards. The website is completely player-centric and is dedicated to providing a safe, secure, and unbiased gaming platform to play rummy for users. 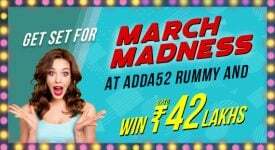 You can download Adda52rummy app from the website and install it on your android devices easily to play rummy anytime and anywhere. That’s not it! 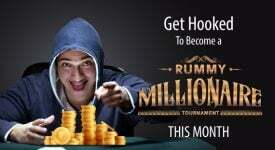 We promise you to bring more exciting and mind-blowing rummy tournaments in the upcoming months. Stay tuned for more updates.